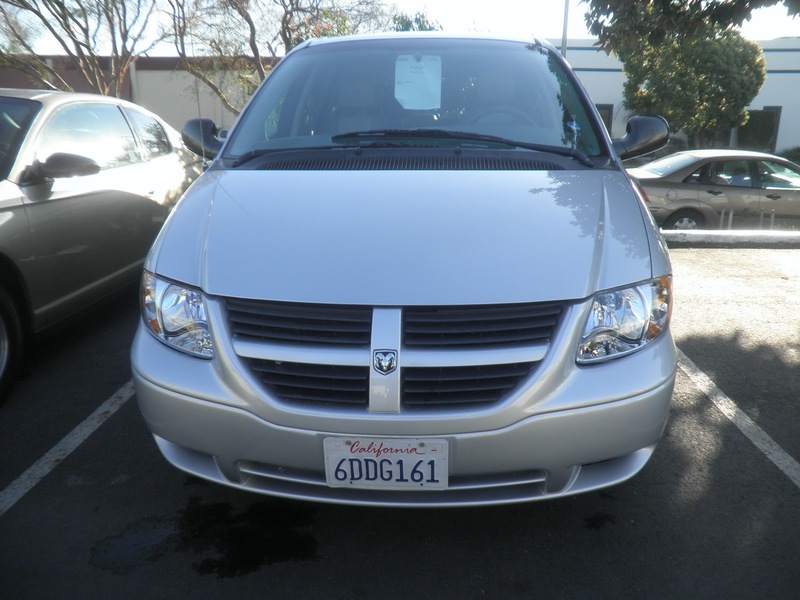 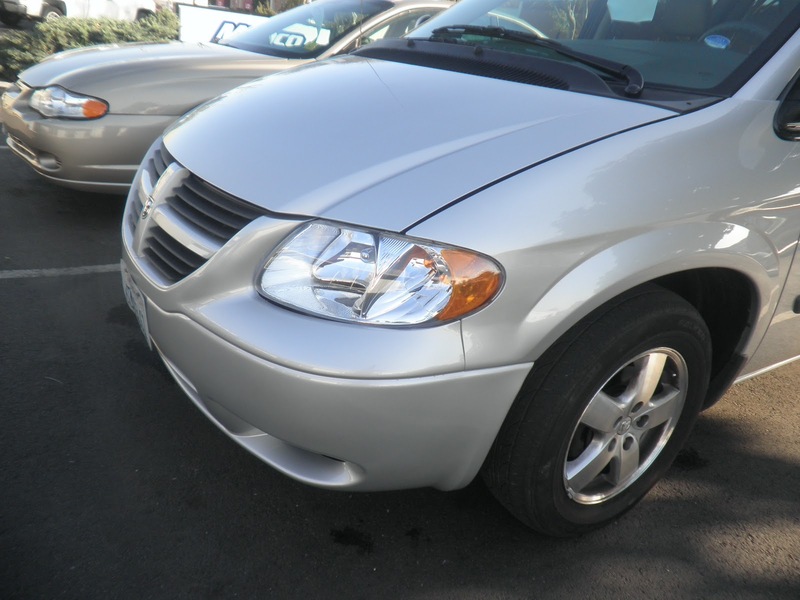 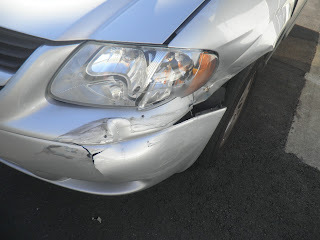 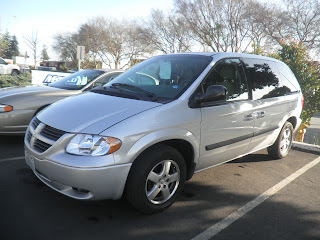 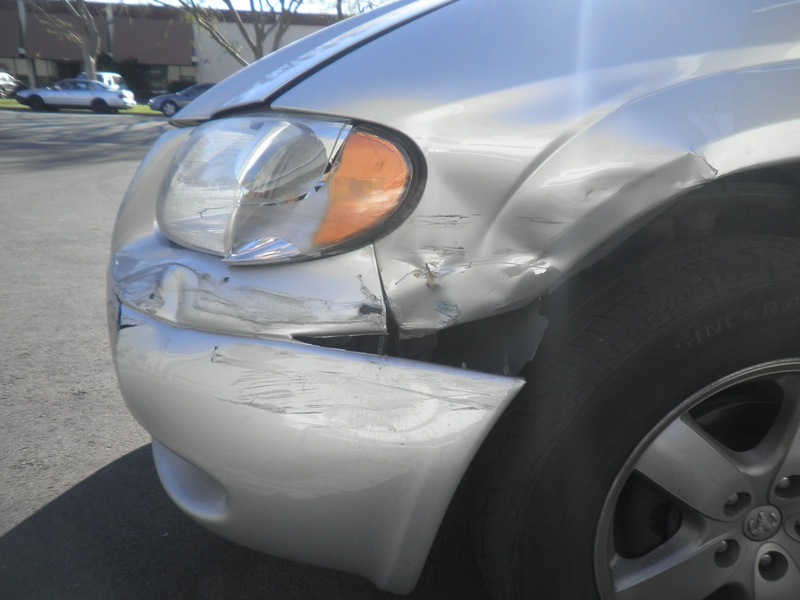 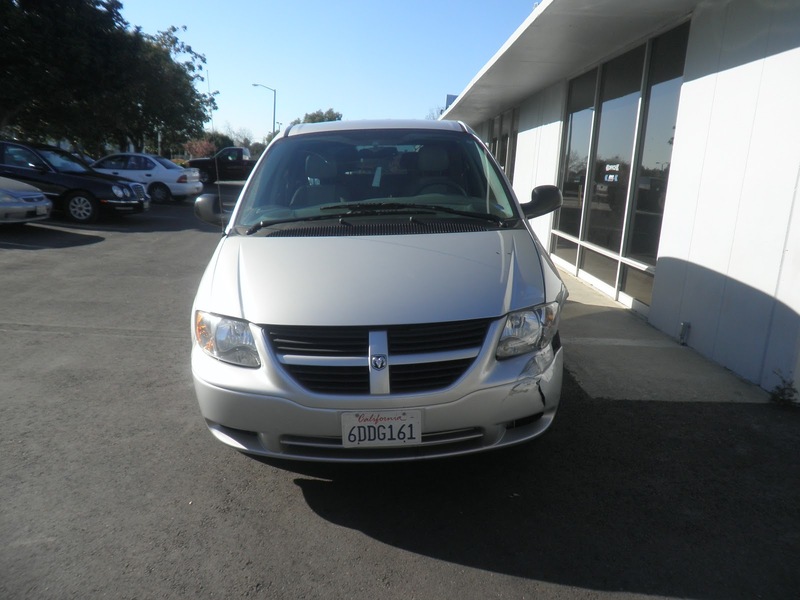 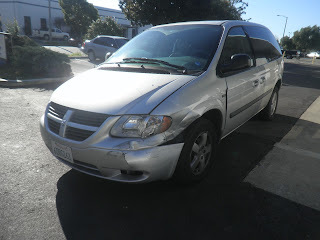 Today's Car of the Day is a 2005 Dodge Caravan SXT that came in with auto collision damaged to the left fender, front bumper cover, left headlamp, left front door and cracked windshield. 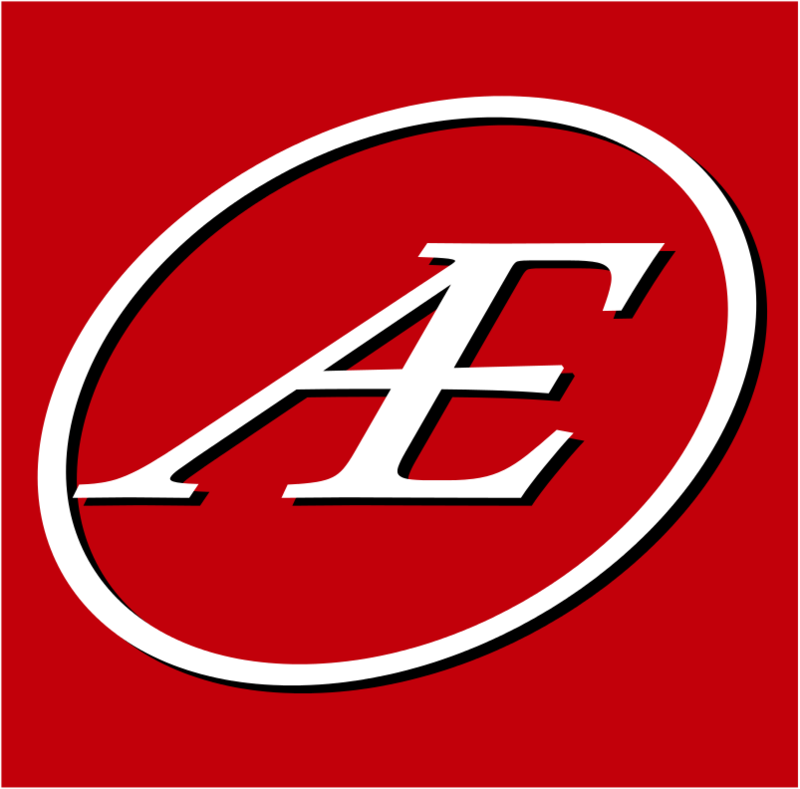 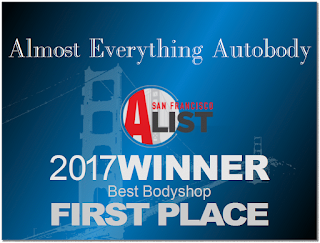 Almost Everything Autobody replaced the front bumper cover, left headlamp, left fender, left fender skirt, and front windshield with new parts and repaired the dents on the left front door. 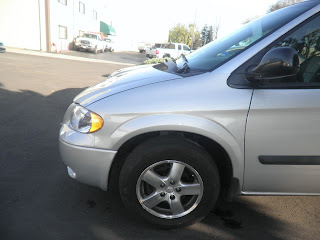 Almost Everything Autobody repaired the damaged fender apron, painted the parts to match the rest of the car, and installed the new parts.